I just love giving gift cards for Christmas – it makes it so easy for the person to choose something special that they really want! 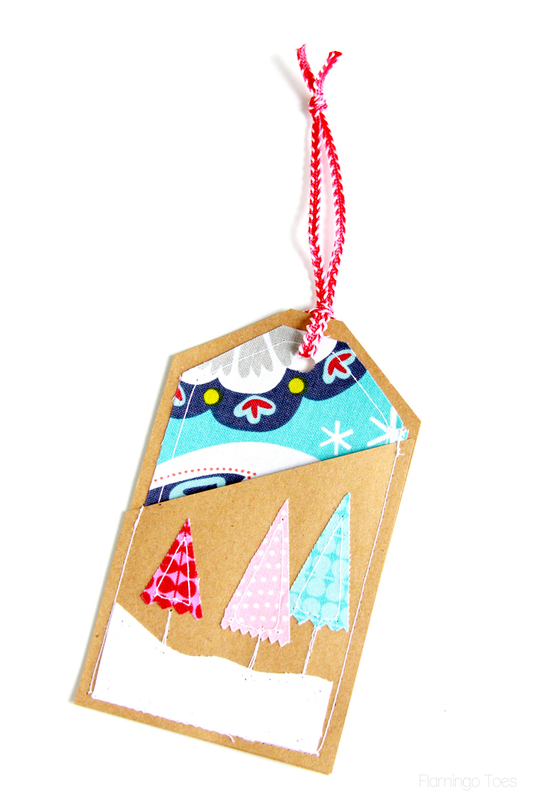 But I also love dressing them up so they are packaged in cute ways! 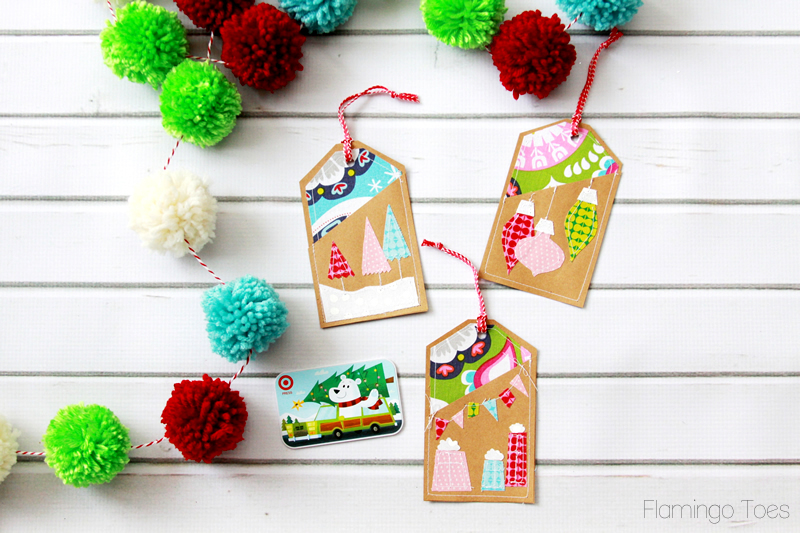 These little Colorful Stitched Gift Card Holders are so easy to make up – but they are so cute they would be sweet hung on the tree or used year after year! All you need to do is slip in your favorite gift card and you have a gift all ready to go! Here’s all you need to make your own! 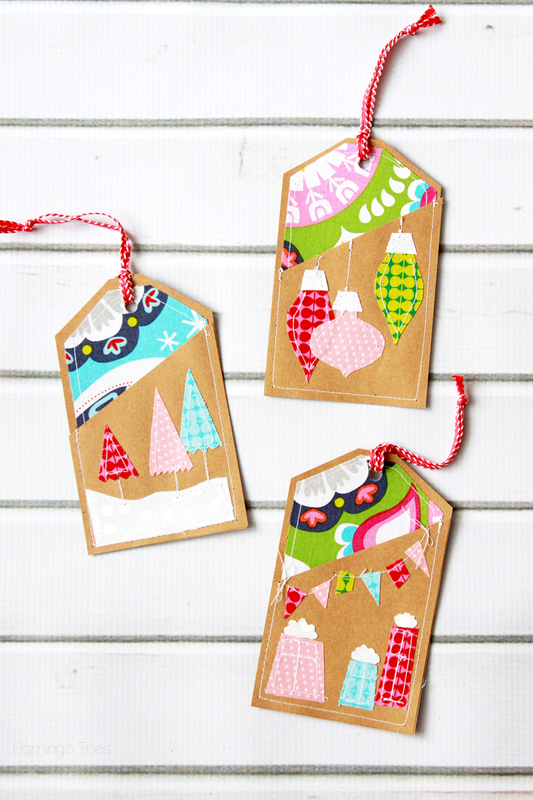 Cut your paper out for the tags. You’ll need a front and back piece for each tag. 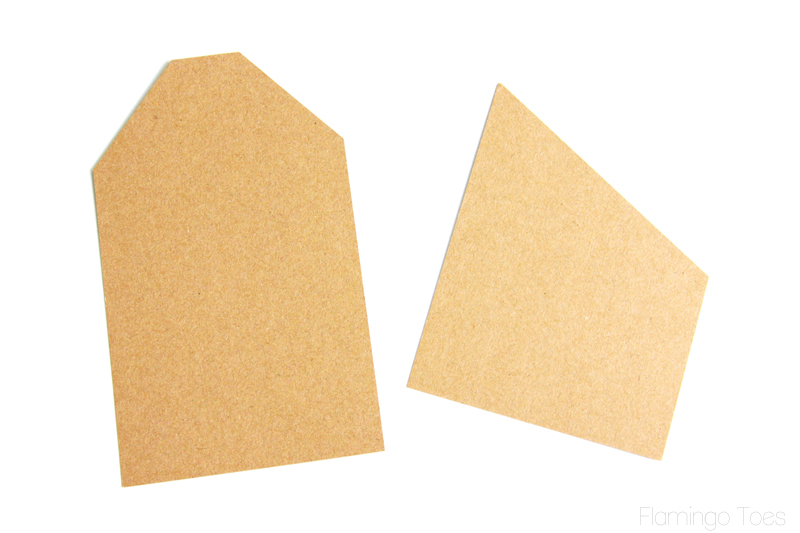 Measurements don’t have to be exact – but my back piece is 5″ x 3″ with the two top corners cut off at angles. The front piece should be 3″ x 4 1/2″ – at the top point, then angled down from there. You basically want your gift card to fit inside, and to be able to see the corner peeking out on one side. Test out your measurements with your gift card. Cut out a piece of fabric just a little smaller than the back piece. 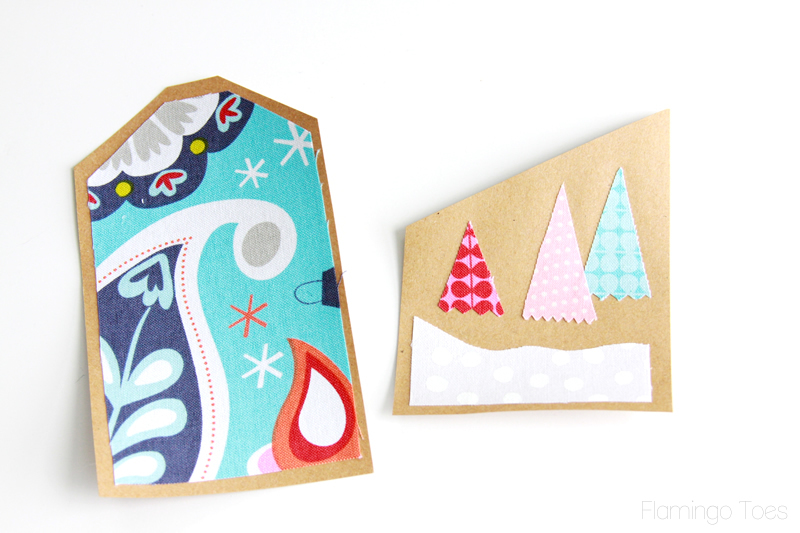 For the front – cut out scraps into decorative Christmas shapes. I did trees, ornaments, and presents – but anything goes! Lightly glue the fabric in place, or iron it in place with fusible webbing like I did. It held it in place really firmly while I sewed. Sew around all the shapes. It doesn’t have to be perfect, just some simple stitching around each. You might need to increase the tension on the machine to get it to look nice. Lay the front piece over the back and sew down the sides and bottom to hold the pieces together. Finish off your holder by punching a hole in the top, and then knotting a ribbon through the hole. All done! These would look really cute without the stitching too! You’re killing me with those little trees! Those are the cutest!! 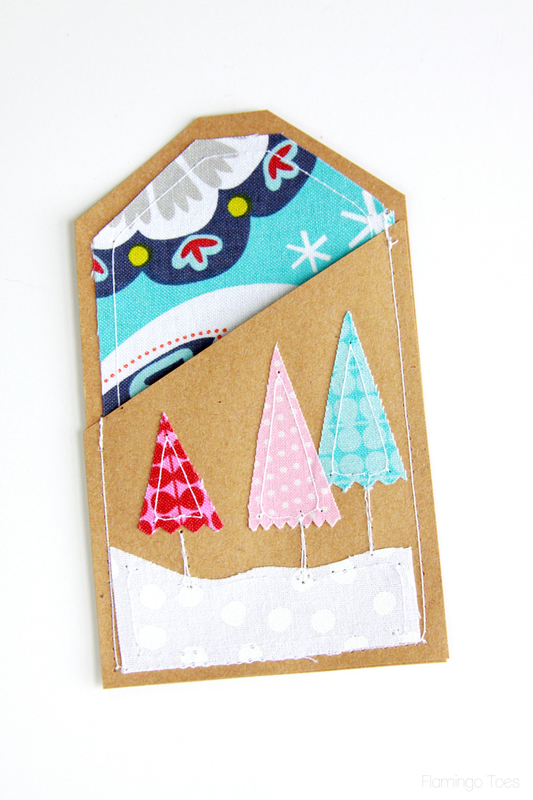 I love how easy these are to make with fabric scraps you already have. SO, so cute! Wow! So pretty! I’m not sure I’d have the time or patience to work on all those little details. But it sure does look better than those cardboard backed gift card holders! These are the cutest! 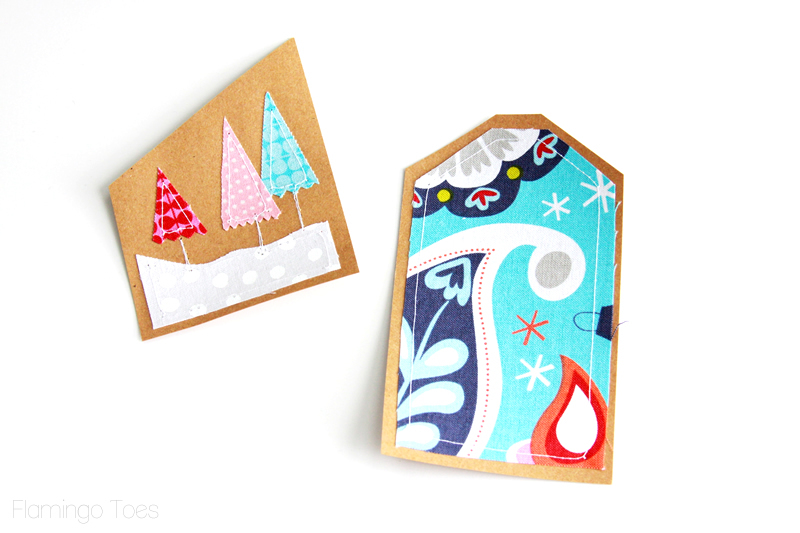 I always feel guilty for giving gift cards but if the envelope is handmade and adorable like these, who wouldn’t want one! These are too cute! I am in love. You are so talented as always! These are precious! LOVE them. Bev, these are simply darling! I have to pin so I can make some! Oh my gosh, these are so darling. 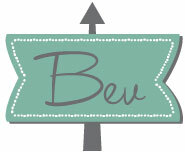 What a fun way to customize and personalize a gift card. These are lovely! Great idea! These are so stinking cute! Love! Thanks for the adorable idea. These are adorable! Now you got my mind going on how these could be made for other holidays and seasons. Those are really cute. 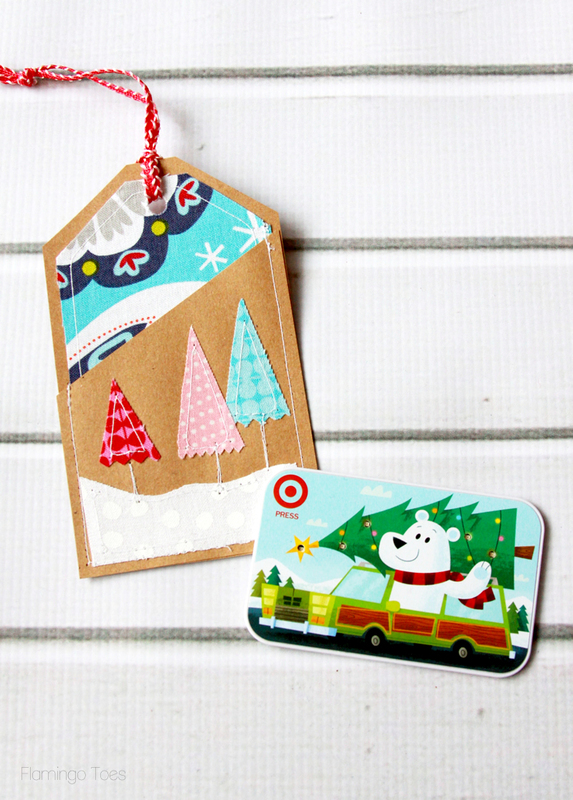 Target has the cutest gift cards. Happy holidays. Love.these!!!! They are so adorable! So super cute!! Love them!! Bev, these are SO cute! 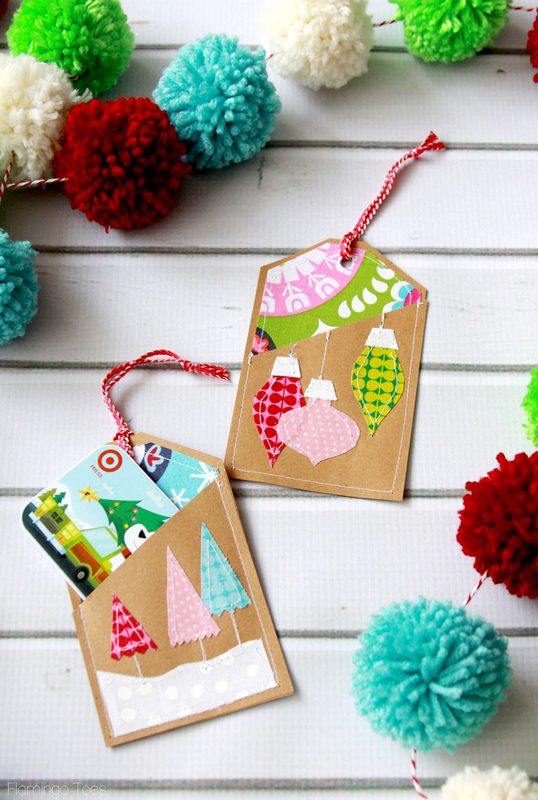 LOVE them…and love that adorable garland too! I’m in love with the cuteness! Beautiful job! 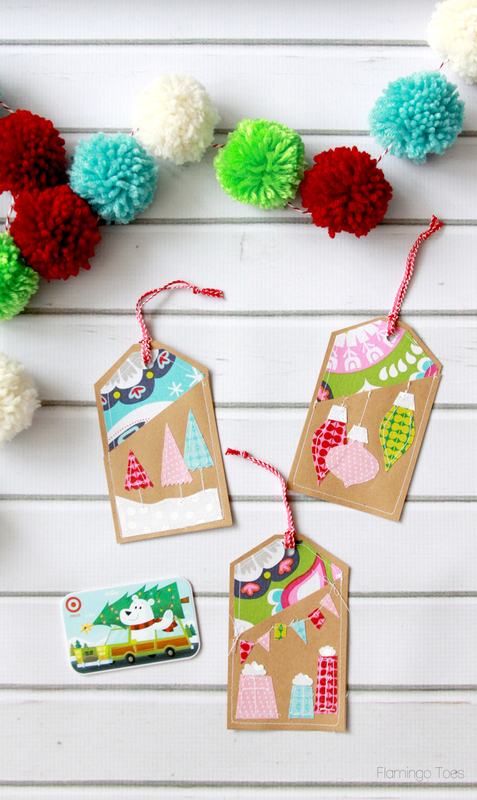 These are so ADORABLE and would also make SUPER cute Book Marks :-) LOVE them! Totally gorgeous. I can definitely see me trying this out at some point. Pinning! Bev these are precious – I love them! I’ll be giving quite a few Target gift cards too so def pinning this! 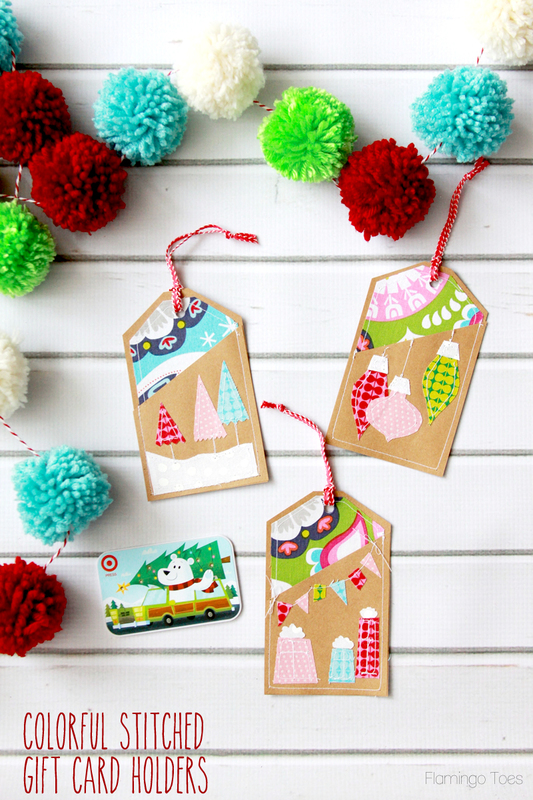 These little gift card holders are just beautiful! What a creative idea – I love it! Such a unique presentation of a gift card! Thanks for sharing at Funtastic Friday! 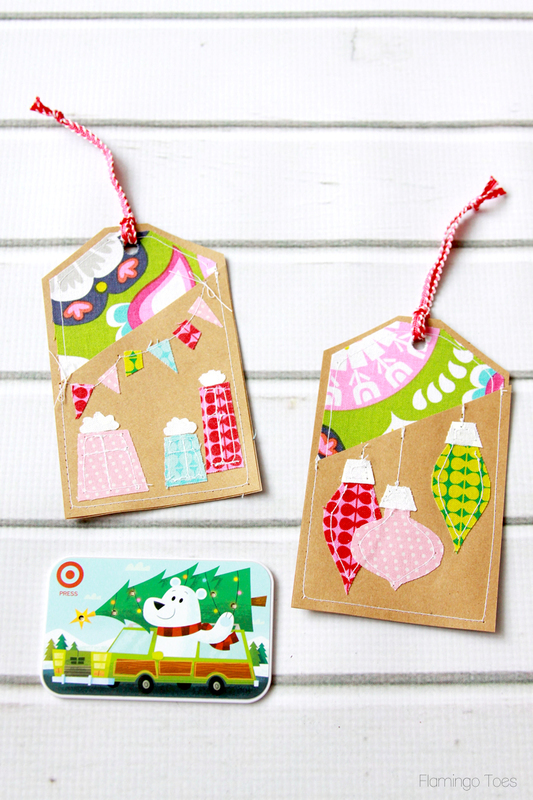 Adorable gift card holders! Thanks for sharing at the Inspiration Spotlight party. Shared. Happy Holidays! What a fun way to dress up a gift! !